Selling my Suzuki Gixxer. Hands down in my opinion, this is one on the most impressive 2-wheel machines on the street. 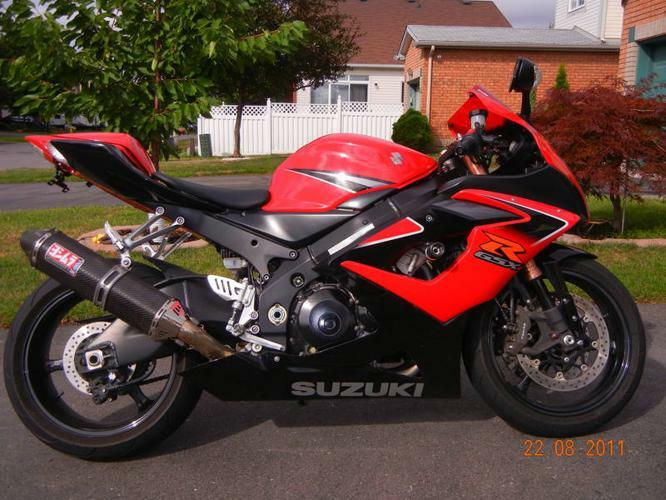 Black and red Suzuki GSX-R . Bike is in very clean condition. All reasonable offers will be consider. If interested, please call Dario at 841-. (After 6 pm best time.) If you want a faster response, it?s better to call. I do check my email from time to time. If you have any questions, please do not hesitate to contact me. $ Neg. - Suzuki Factory Racing Kit on Tank --Fresh oil and new air filter just changed. The bike is incredible and one of the most powerful ones-186hp to the engine. Hate to see it go, but someone should get to enjoy this awesome machine. The only thing it might need is a rear tire (its at 40%).